The (634565) Brodit ProClipTM is a mounting bracket for the vehicle's dashboard. Onto the ProClip you can install e.g. 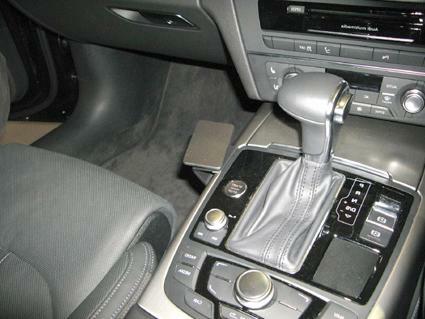 a holder for your mobile phone or PDA or a handsfree set etc. Safe and convenient -always within easy reach. 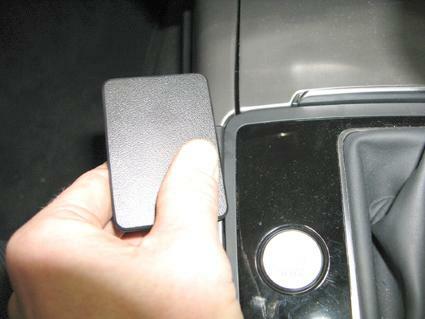 The ProClip is car specific and easy to install. 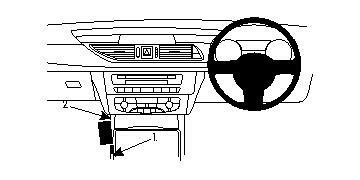 The installation is quick, no special tools or dismantle of the dashboard is required and it will not damage the interior of the vehicle. Made in black ABS plastic. Comes with detailed instructions. 1 and 2. Use the enclosed alcohol pad to clean the area where the ProClip is to be installed. Peel off the adhesive tape covers on the ProClip. 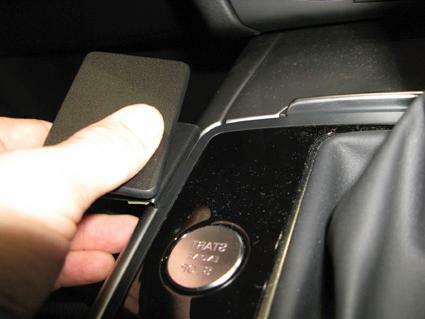 Press the angled edge on the right part of the ProClip into the gap between the panel surorunding the gear shift and the edge of the console. 3. 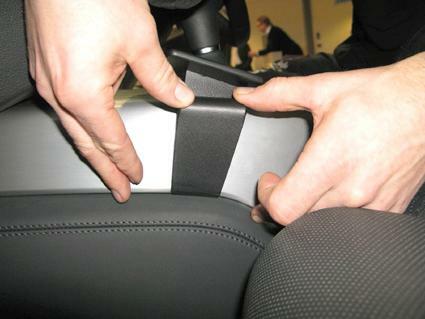 Press downward on the left side of the ProClip so the angled lower edge hooks under the edge of the console.